All-in-one for a healthy diet. There were slices of tomato and cucumber stuffed inside. Every bite it so mix of flavor just like eating a burger. 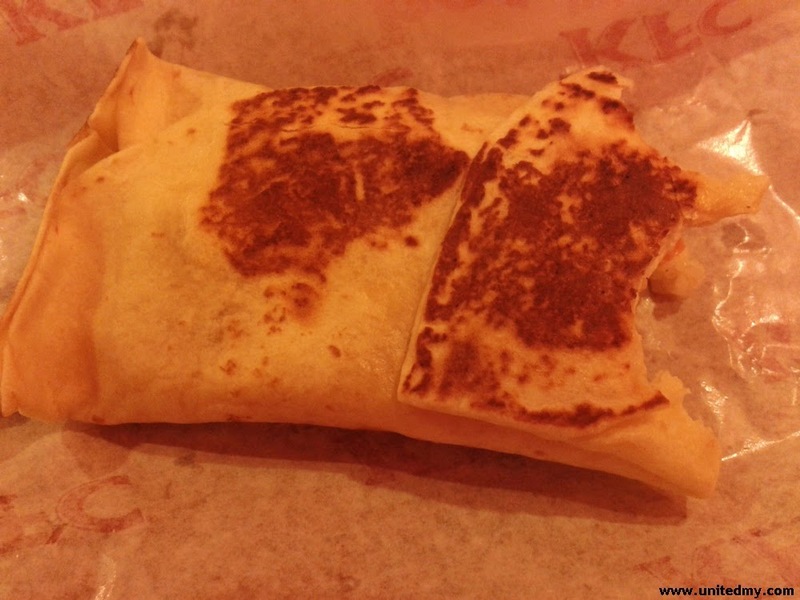 But, this is special one using Tortilla bread. Besides, it not like one had ever tasted colonel rice in a burger. 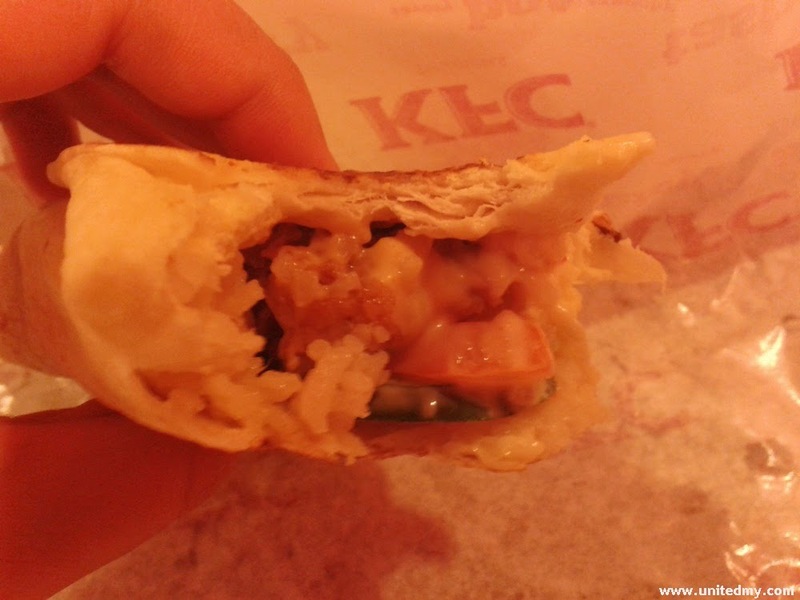 Despite that, I was pretty amazed the colonel rice in a tortilla bread is pretty good combination. Reality vs marketing illustration. It should be much more round instead of square. Orderd RM4.90 Zinger Rice Wrap, told to wait for 5 minutes. Gave me a table number so that they could deliver it to my table. The size of Zinger Rice Wrap is quite satisfactory. Every bite of it adds the size of stomach belly. Luckily, there were not too much sauce inside, as if there were it will be all over my clothes and face I believe it should be some mayonnaise or special sauce for this new menu.